Wrigley Building From A Watery Vantage Point! 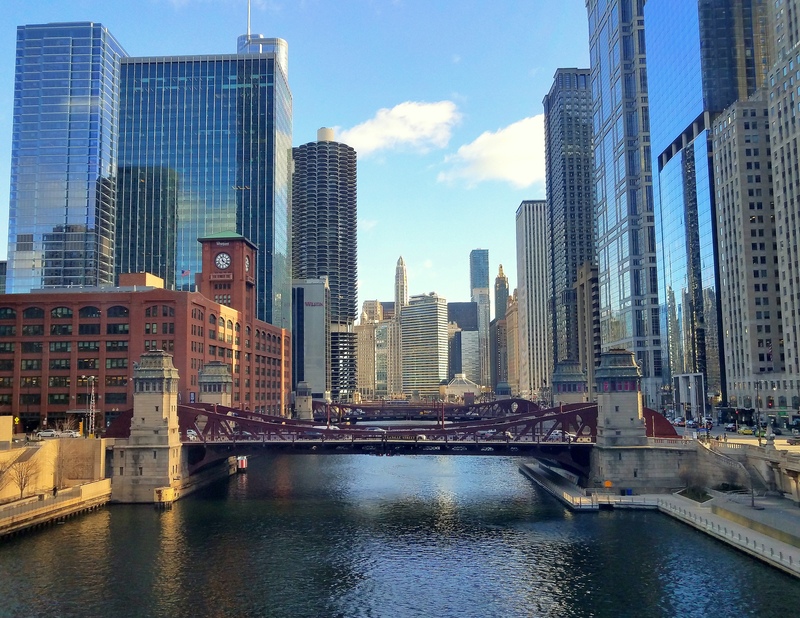 Recently I wrote a post about the fun-filled and fascinating, “Chicago Haunted River Tour” that I took just prior to Halloween. The above photo is from that evening. This is the, “Wrigley Building” with pink lighting around the spire. There were many downtown Chicago buildings that adorned pink lights for the entire month of October. This was to honor, “Breast Cancer Awareness Month”; what a wonderful idea! In Chicago we have Wrigley Field, Wrigleyville, and the Wrigley Building; and yes, this is the ‘gum’ company that so many of us are familiar with on this side of the pond. Many movies have been filmed in, around, and (literally) ‘on’ the building. In 1957, the movie, “Beginning of the End” used the outside of the Wrigley Building to depict the onslaught of attacking giant grasshoppers! Let’s just ‘stick’ to the gum for now, shall we? ← Macy’s: It’s Already Beginning To Look A Lot Like Christmas! Gomme! Nice shot Cher, have a fab Monday! Beautiful with all that light. It seems me, that with Christmas this environment is wonderful.